Hunting season is coming up in a couple of months and my 13-year-old nephew, Robbie is not sure what he’s going to say in response to his father’s annual invitation. Every year “the boys” take a week off from being a professional roofing contractor Fayetteville NC and head into the back woods for a week or so to bag a deer. My brother, his father has been doing this since he was a kid of about the same age as Robbie. Robbie shot and killed his first buck last year. His father and the other guys gave him huge kudos and made a big deal. From all outside appearances Robbie looked very pleased with himself. He was pumped up at how proud he made his father feel. Recently, Robbie was spending the weekend with Brad and me and the annual hunting trip in the Fall came up in conversation. Little by little, it became apparent that something was bothering young Rob. Since Brad and I deplore hunting we usually don’t even talk about the subject, but since he brought it up we listened out of respect. Turns out killing that deer impacted Robbie in a way that he had not let on. He was the recipient of a lot of praise and had walked a rite of passage when the other men congratulated him so lavishly. He, on the other hand felt horrible when he saw what he had actually done. It wasn’t a clean kill and when they approached the downed animal its eyes were open. Robbie looked into the depth of those eyes and felt the fear and pain that the stag was going through. It was his trophy so it was up to him to put the final shot into its head to put it out of his misery. Robbie’s personal instinct and intuition was tearing him up inside and the last thing he wanted to do was shoot his rifle again. 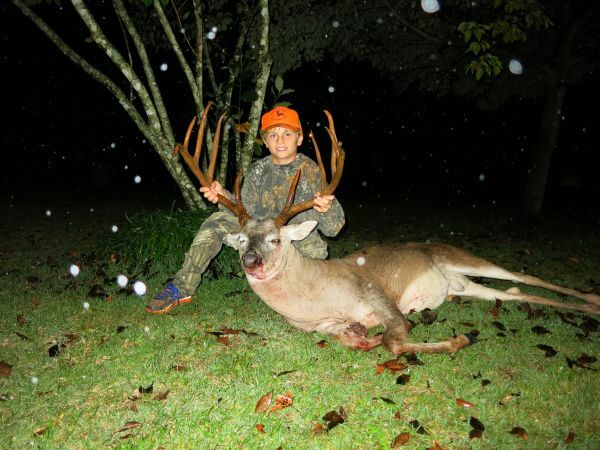 Of course he did – and at that point it was the best thing for the deer, but a little bit of our 12-year-old nephew died along with the animal. He told us he would never forget the look in the buck’s eyes. Now he faces a dilemma that only he can solve. He doesn’t want to disappoint his father. His Dad is not exactly the most sensitive type. Although he loves animals, he isn’t touched by them in the same way as his son. My brother had a dog when he was young that he loved like a best friend. Roxy was her name, and they went everywhere together. One day Roxy got sideways with a school bus and was killed instantly. My younger sibling withdrew from life a little after that. He never wanted another dog and seemed to distance himself from the thought. He was just not the same, and I think it affected the way he related to all animals – from a distance. Robbie’s personal intuition tells him that all life is sacred. Even at the young age of 12 or 13, he realizes that taking a life unnecessarily is not his thing. He and his Dad have never talked about this. Robbie just wanted to be one of the guys and do manly things with his father. Like many young boys, pleasing his father took center stage to his own sense of what was right for himself. We promised not to say anything to his father, but encouraged him to stand in his own personal power. Without putting words in his mouth, Brad and I gave him some points in conversation to use in helping him to convey what it was he was feeling. Ultimately, it’s up to him if he is going to talk to his Dad. He might not be able to do it this year, but we have a sense that it’s inevitable.